Shamgar Son of Anat and Israel’s Age of Heroes | Is That in the Bible? Few biblical characters are as obscure as Shamgar ben Anat. To be sure, there are many names that appear just once or twice in the genealogies, but Shamgar is a character whose actions distinguish him within the biblical narrative, and not just a forgotten name on a list. Although he is mentioned in only two verses, he is supposedly one of the judges of Israel who was remembered for a mighty feat in battle. However, I knew practically nothing about him beside the name before I set about writing this article, and I chose him as an experiment to find out how much biblical studies could tell me about such a marginal character. After him [Ehud] came Shamgar son of Anat, who killed six hundred of the Philistines with an ox-goad. He too delivered Israel. And that’s it. Figuring out how exactly Shamgar is supposed to fit into the biblical narrative of Israel’s past — whether historical or not — has been a challenge for scholars. Although the text does not explicitly say that Shamgar judged Israel, it is generally assumed that he was inserted into the narrative here — whether by the original author or by a redactor — in order to be counted among the judges of Israel, alongside Othniel, Ehud, Deborah, Gideon, and so on. In order to understand what that means, exactly, we need to take a closer look at these characters known as “judges” and the book that takes its name from them. The book of Judges is a collection of stories about Israel following its entrance into the Promised Land under Joshua, filling in the chronological gap between the exodus and the monarchy. In terms of format, the book contains an “artificially structured…series of episodes that follow a common pattern: Israel sins, is punished by being made a subject of a foreign people, cries to Yhwh, has a deliverer sent who leads them in throwing off the foreign yoke – following a 40/80-year cycle.” (Grabbe 43) These deliverers are said, in most cases, to have “judged” Israel. Typically, one is taught in Sunday school that these judges were a series of men who ruled or administered all of Israel before Saul was anointed as the country’s first king, but that’s not exactly true. The Hebrew word shofet, translated as “judge” in English Bibles, means what it sounds like: someone who is a judge in the judicial, legal sense (Grabbe 23), who upholds law and order in the community (Baker, p. 43). The problem is that the title doesn’t fit: unlike the judges appointed by Moses in Exodus, and Samuel as depicted in 1 Samuel, none of the characters in Judges actually performs the duties of a judge! As Robin Baker observes, “…None of the major or minor ‘judges’ delivers a recorded judgment, nor, with the arguable exception of Deborah, is presented in the process of judging.” (Op. Cit.) Martin Noth also wrote: “there is no demonstrable or even plausible meaning for the word ‘judge’ which could apply to these heroes as we know them.” (Noth, Deuteronomistic History, p. 43, quoted in Baker 45) Instead, these characters seem to be legendary war heroes whose exploits often come at the opportune time to deliver Israel from its enemies. Some of them are presented as political leaders as well (such as Gideon and Abimelech), while others are nothing of the kind (e.g. Samson). So by identifying Shamgar as one of the so-called judges, we recognize that he is not an actual judge or a leader of Israel, but a legendary hero of battle. That’s not a lot, but it’s a start. We also run into problems when trying to situate Shamgar and the other judges chronologically. When, exactly, was the “period of the judges”? Traditionally, the narrative was taken more-or-less at face value, with the events of Judges placed in the Bronze Age following the exodus from Egypt. That framework is no longer tenable, as mainstream historians and archaeologists no longer think the Israelites were ever enslaved in Egypt or migrated en masse to Palestine and conquered the Canaanites. The Israelites simply were Canaanites. Historians also know quite a bit about conditions in Bronze Age Palestine thanks to the Amarna Letters, a fourteenth-century Egyptian archive that includes numerous letters from various local rulers in Palestine, among them ‘Abdi-Heba, king of Jerusalem. The situation these letters describe does not resemble anything we find in Joshua or Judges (Grabbe 38), and Canaan was under Egyptian governance during that period. Another recent proponent of late authorship is Sergei Frolov, who, in an article at TheTorah.com, provides linguistic and historical evidence for the Song of Deborah in Judges 5 — often considered the oldest passage in the Bible — actually being a late, even Hellenistic, composition. According to Guillaume, the period of the judges should be understood as a Jewish analogue to the Age of Heroes popularized by the Greek writer Hesiod (c. 700 BCE), who wrote of an age of great heroes and demigods sandwiched between the remote past and recent human history. Several stories in Judges seem to echo Greek tales from that mythical period², and the slaughter of Benjamin in Judges 20 marks the end of that age just as Troy did for the Greeks (Guillaume 163). The idea of authorship in the Hellenistic period will surprise some, but regular readers may recall the clear Greek influence that may be found in other OT passages, including the stories of Sodom and Gomorrah and David and Goliath. Approaching the Bible in light of Greek historiography also gives the stories of Shamgar and the other judges a new perspective to consider. Let’s take another look at Judges 3:31. From it we learn the following: (1) Shamgar is called the son of Anat. (2) Shamgar’s enemy was the Philistines. (3) Shamgar single-handedly killed an extraordinary number of combatants in a great feat of combat. (4) Shamgar used an unorthodox weapon — an ox-goad. (For more discussion, see Van Selms 302 and Lemardelé  274). Classicist Bruce Louden argues that this is exactly what is meant, noting that some of the heroes who fought at Troy were also the sons of gods (Louden 168). Memnon, the son of the goddess Eos and human prince Tithonus of Troy, is perhaps a relevant example. And Anat, being a war goddess to the Egyptians, is a suitable deity to be associated with a war hero. Furthermore, we know from papyrological finds that the Israelites were among the nations who venerated Anat (see my previous article on this topic). Greek myths of semi-divine heroes bring to mind the gibborim — the Hebrew Bible’s term for “warriors of old, men of renown”, who in at least one instance (Genesis 6), were also the offspring of divine beings and human women. This ties into the Age of Heroes myth, because the story in Genesis 6:1-4 is remarkably similar to the story told by Hesiod in his Catalogue of Women, which explains how the mating of gods and human woman prompted Zeus to instigate the Trojan War, ending of the Heroic Age and destroying the demigods (see Hendel 19-20 for discussion and references). In the Bible, the gibborim are also associated with Nephilim and other races who are mighty in warfare and in stature — that is to say, “giants”. We’ll come back to this idea. It is generally recognized that “Shamgar” is not a Hebrew name. Most commentators believe it is a theophoric Hurrian name, meaning “Shimige has given”. Shimige was the Hurrian sun-god whose veneration extended beyond Anatolia to the Phoenician coast and Western Syria, and the Hurrian name Shimigar is well-attested (DDD, “Shimige”). The possibility then arises that Shamgar was a semi-divine hero of Hurrian legend who was borrowed into Israelite folklore (Lemardelé  65). Furthermore, there is another, more well-known hero in Judges associated with the sun: Samson (Hebrew: Shimshon), whose name is a reference to Shemesh, the Canaanite sun god, and whose activities take place in the vicinity of Beit Shemesh, “House of the Sun”. The obvious parallels include their names, the Philistines as a common enemy, the extraordinary number killed, and the use of a makeshift weapon — a farmer’s ox-goad for Shamgar, a donkey jawbone for Samson. It’s beginning to look like Shamgar and Samson are two versions of the same legendary hero. The only significant aspect of Shamgar’s identity missing from Samson is the divine parentage. Or is it? Since our investigation of Shamgar has led us to Samson, we need to examine his origin story in more detail. In Judges 13, the barren wife of Manoah the Danite has two encounters alone with the angel of Yahweh, whom she thinks is simply a man at first. The angel tells her she is pregnant and will have a son, and gives special instructions regarding the boy’s upbringing. Sure enough, all happens as the angel predicted. Thus, if we entertain the thesis of Zakovitch and Shinan, the biblical author may be adapting a legend in which Samson is indeed the offspring of a god. He does what he can to hide this fact without completely altering the story, but various clues remain behind. Note that this battle is especially similar to Samson’s feat, including the location at Lehi, an otherwise obscure place. Either Shammah and Samson (Shimshon) are based on the same legend, or details have been borrowed from one to the other. Regular readers may also recall how the defeat of the giant Goliath by the champion Elhanan (2 Sam. 21:19) was reattributed to David by a later author. Similarly, Shammah is downgraded in the more familiar Goliath story to become one of David’s brothers (1 Sam. 16:9), a mere bystander in the battle against the Philistines and the giant Goliath. Biblical legends shift like quicksand. Shammah’s enemy, the Philistines, included giants according to Samuel and Chronicles, and David’s chief warriors, among whom Shammah was counted, are described as slaying several of these giants. Although it is an army of Philistines rather than a giant that Shammah defeats in 2 Sam 23, the son of David’s brother Shammah/Shimei slays one in 2 Sam 21:20, and it is possible that both individuals are variations of the same legendary hero, as I suggested above. Is it possible Shamgar son of Anat was originally conceived of as a giant as well? Superhuman strength and size would go a long way in explaining how one could kill 600 men with a farming tool. Shamgar and Shammah seem to have more in common in Samson than with each other, suggesting that Samson’s story is the common link. Still, that doesn’t tell us which character (if any) was original, or which direction the influence runs. It’s possible that all three characters are variants of the same legend or archetype. I have already addressed the theory that the period of the Judges was introduced as a Jewish equivalent to Hesiod’s Age of Heroes and the common occurrence in Greek mythology of heroes with divine parentage. There are other Greek themes and connections we can explore in connection with Shamgar, Samson and Shammah. The Aristeia: In Greek historiography and the Iliad in particular, the term aristeia is used to describe a hero’s single greatest accomplishment “during which he, inspired by [a] god, slays a great number of the enemy,” often in order to deliver the hero’s people from danger (Louden 171). Louden, whose specialty is the Homeric epics, believes that many of the stories in Joshua and Judges are deliberately organized around such aristeias. The most common form of aristeia in the Greek literature is the duel, whereas the Bible more commonly features an exploit of one hero against many (with David and Goliath the notable exception). For example, the spirit of Yahweh comes upon Othniel who then defeats king Cushan-rishathaim (Judg 3:10); and upon Jephthah, who defeats the Ammonites (Judg 11:29-31). The spirit of Yahweh also “rushes upon” Samson when he kills the lion (Judg 14:6), and again when he kills one thousand Philistines (Judg 15:14–15). Yahweh is credited for Shammah’s slaying of the Philistine army, implying direct involvement in Shammah’s feat. Similar parallels may be found in Jashobeam’s slaying of 800 at one time (2 Sam 23:8 / 1 Chr 11:11) and Abishai’s slaying of 300 at once (2 Sam 23:18). Shamgar’s feat seems to fit the same mold. Often, in an aristeia, the hero’s weapon is unique in some way. In most biblical examples, the hero’s weapon is also given special mention: Shamgar’s ox-goad (a spear-like weapon), Samson’s donkey jaw, Jashobeam’s and Abishai’s spears, David’s sling, and so on. The Legend of Heracles: It is well known that the Samson stories often show striking parallels to the legends of Heracles (Hercules), a hero from Greek mythology who was the offspring of a god and a human woman (Zeus and Alcmene). His first feat, one of the famous Twelve Labours, was to slay a lion bare-handed using his great strength, just as Samson’s first feat of strength is to kill a lion with his bare hands in Judges 14:5-6. The odd appearance of a beehive in Samson’s lion (v. 8) also seems to come from a Heraclean story in which a lion gives birth to bees (Wajdenbaum 225). Like Heracles, Samson was a great lover, and also like Heracles, Samson was captured by foreigners and then slew his captors during their own religious celebrations. The miraculous spring from which Samson drank (Judges 15:18-19) has a parallel in the Heracles legend. Heracles’ twelve labours — a likely allusion to the zodiac — is echoed in Samson’s association with the sun. Heracles’ descent from Danaea recalls Samson’s descent from Dan. (Ibid. p. 226–229) Even the early Christians equated Samson with Heracles in catacomb art (DDD, “Heracles”, p. 404). If Samson is not directly based on Heracles, the two characters at least come from a shared cultural sphere that was heavily Greek-influenced. Shamgar was a legendary war hero, possibly with Hurrian roots, who was borrowed into Israelite tradition. The biblical author assigns Shamgar to Israel’s mythical age of heroes, the “period of the Judges,” that is analogous to, and possibly inspired by, Hesiod’s Heroic Age of ancient Greece. Like many of the Greek heroes, Shamgar seems to have been a demigod in an earlier stage of the legend. His mother is Anat, a goddess who was widely venerated by pre-monotheistic Jews and Israelites. Shamgar shares many distinctive attributes with two other biblical heroes: Samson and Shammah. All three could even be considered variations of the same character, although Samson’s story is the most developed and shows more Hellenistic influence. Shamgar and Samson appear to be unknown to the other historical writers of the Old Testament, and their stories may have been introduced into the biblical literature at a relatively late date, regardless of the age of the underlying legend. 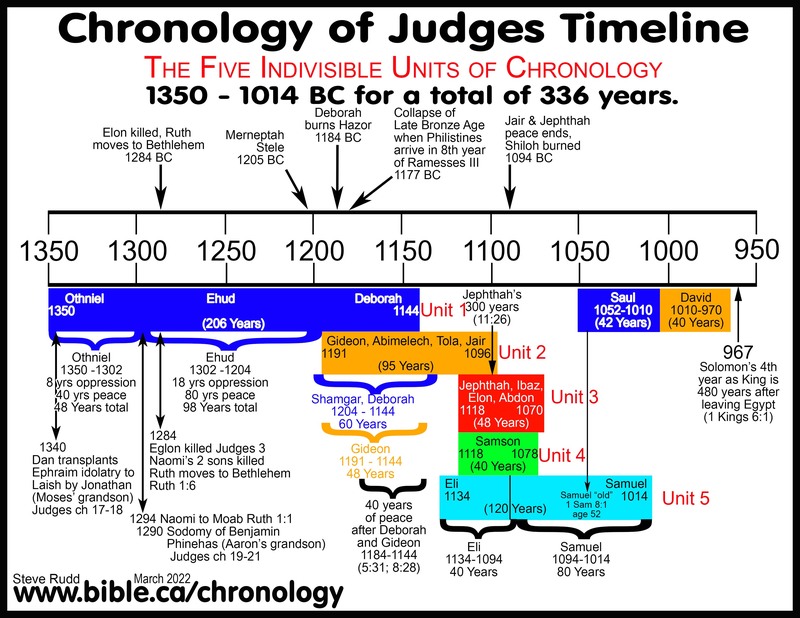 Biblical literalists who attempt to create chronologies of the period of the Judges inevitably resort to significant overlap, with multiple judges ruling concurrently. One does not get this impression from actually reading Judges, however. One notable example is the similarities between the migration of the Greek Danaids and biblical Dan. The equivalence of gibborim with Nephilim is clearer in the Septuagint. Ezekiel 32:27 also appears to confirm the interpretation that the Nephilim were mighty warriors of old. All these groups are related to each other according to Deut. 2:11 and Num. 13:33. In Near Eastern mythology, the sun goddess traverses the netherworld at night in order to arrive at the eastern horizon by morning, and is thus a logical candidate for ruling that domain. The association between Shamgar and the Philistines is problematic for another reason. Deborah and Barak’s war against Sisera in northern Palestine is said to take place in the days of Shamgar, yet the Philistines are clearly not the enemy in this context. Lester L. Grabbe, “Late Bronze Age Palestine: If we had only the Bible…”, The Land of Canaan in the Late Bronze Age, 2016. Robin Baker, Hollow Men, Strange Women: Riddles, Codes and Otherness in the Book of Judges, 2016. Philippe Guillaume, “Hesiod’s Heroic Age and the biblical Period of the Judges”, The Bible and Hellenism: Greek Influence on Jewish and Early Christian Literature, 2014. Ingrid Hjelm, Jerusalem’s Rise to Sovereignty: Zion and Gerizim in Competition, 2004. Nili Shupak, New Light on Shamgar ben ‛Anath, Biblica 70/4 (1989). John Day, Yahweh and the Gods and Goddesses of Canaan, 2000. Snyman, “Shamgar ben Anath: A Farming Warrior or a Farmer at War?”, VT 55/1, 2005. A. Van Selms, “Judge Shamgar”, VT, 13/3, 1964. Christopher Lemardelé, ‘Samson le nazir: un mythe du jeune guerrier’, Revue de l’histoire de religions, 3 (2005). Bruce Louden, The Illiad: Structure, Myth, and Meaning, 2006. Ronald S. Hendel, “Of Demigods and the Deluge”, Journal of Biblical Literature, Vol. 106, No. 1 (Mar., 1987). Christopher Lemardelé, “Note Concerning the Problem of Samson the Nazirite in the Biblical Studies”, Scandinavian Journal of the Old Testament, Vol. 30, No. 1 (2016). Yair Zakovitch and Avigdor Shinan, From Gods to God: How the Bible Debunked, Suppressed, or Changed Ancient Myths and Legends, 2012. Thomas L. Thompson, The Mythic Past: Biblical Archaeology and the Myth of Israel, 1999. Adele Reinhartz, Samson’s mother: An unnamed protagonist. In A. Brenner (Ed. ), A feminist companion to Judges, 1993. Anton Karl Kozlovic, “Constructing the Motherliness of Manoah’s Wife in Cecil B. DeMille’s Samson and Delilah (1949)”, Women in Judaism: A Multidisciplinary Journal, Winter 2006, Volume 4 Number 1. Nick Wyatt, “À la recherche des Rephaïm perdus”, in The Archaeology of Myth, ed. Nick Wyatt, 2010. Christophe Lemardelé, Une gigantomachie dans la Genèse ? Géants et héros dans les textes bibliques compilés, Revue de l’histoire des religions 2, 2010. Finkelberg, Greeks and Pre-Greeks: Aegean Prehistory and Greek Heroic Tradition, 2005. Israel Finkelstein, “The Philistines in the Bible: A Late-Monarchic Perspective”, JSOT 27, 2002. Philippe Wajdenbaum, Argonauts of the Desert: Structural Analysis of the Hebrew Bible, 2011. Cut & paste is so much older than most folks realize. Could you clarify something early in article for me? I’m not entirely sure how “Israel-as-already-present-Canaanites” in the judge era fits with “Israel-as-not-yet-settled(-Canaanites[?])”. Are these different accountings of the formation of Israel/Israelite identity? The Israelites were Canaanites, but not all Canaanites were Israelites, if you get my meaning. The Canaanites were not an ethnic designation so much as a geographical one used by the Egyptians and other foreign empires. So while Joshua and Judges present Israel as having settled towns and cities across Palestine under a shared Israelite identity, a kingdom without a king, the reality is that “Israel” was still a small tribe that had not settled and formed a polity yet. The Bible versions that I consulted say in 21:21 that Jonathan–son of David’s brother Shimei–killed the giant. As various scholarly sources state, there are some texts–“a number of Greek and other recensions,” according to volume two of The Interpreter’s Bible, which place Judges 3:31 after 16:31, the conclusion of the Samson story. One theory is that the Shamgar mentioned in the Song of Deborah is a different person from the Shamgar of 3:31 (the S of D’s Shamgar doesn’t battle the Philistines and is associated with Jael), but because the S of D mentions Shamgar, the Philistine-killing Shamgar was moved to 3:31, so that it would precede the Song. Thoughts? I got my notes crossed on Jonathan/Shimei. Correction made. 1. 3:31 is its original location, and some editors moved it to 16:31, to a point in the narrative where the Philistines are active, so that its reference to Philistines would make more sense. 2. 16:31 is its original location, and some editors moved it to 3:31 thinking that Shamgar’s feat and judgeship should occur before the mention of Shamgar in the Song of Deborah. I tend toward (1) but have no strong opinion. In either case, it doesn’t affect the analysis of Shamgar and his context given here. I don’t think the Nephilim were demigods, I think the ‘Sons of the gods’, their fathers were. They were Gilgamesh like rulers of the line of Cain who committed polygamy. There is a lot of overlap (in my opinion) with Genesis 6:1-4 and Genesis 4:19-24. One of the things I find frustrating about the field of Old Testament scholarship is it seems most texts can be dated to multiple time periods depending on which evidence you are looking at. The article at thetorah.com was way too technical for me to follow with no knowledge of Hebrew. But for the Song of Deborah to be written during Hellenistic times the writer would have had to think Manasseh was called Machir, and was either unaware of Judah or thought they weren’t important. Perhaps the writer was Samaritan, but then how did it get accepted by Judeans? As for Judges as a whole, the theme of the book seems to boil down to “this is what happens when you don’t have a king”, which suits the monarchial period and perhaps the Persian period when there was still hope of the Davidic monarchy being reestablished. It’s a mystery wrapped in an enigma, etc. What I always keep in mind is a late author can deliberately introduce archaic elements into a text (archaic language, legends, names, etc.) and incorporate older material, but a genuinely early author cannot do the opposite. So you have to start with the latest elements in the text and work from there. Even if the Song of Deborah is Hellenistic, I tend to think its traditions, like the archaic tribal names and the stars leaving the sky to fight Sisera, are still some of the oldest in the Bible. And even just sticking with the biblical narrative, the period described in Judges covers far too long a time to fit between the exodus and the events of Samuel-Kings if you add up the reigns of the judges and the periods of oppression in between them. Did you happen to crunch the numbers when you researched for this article? I’m curious by how many years the period of the judges is off. I’m interested in seeing someone try to resolve this issue. Can you point me to someone who tried? If you add up all the time spans that are explicitly given, it comes to at least 410 years, and that’s not including Shamgar’s period of deliverance and other possible gaps in Judges. It also doesn’t include the time of Joshua prior to Othniel, nor the time of Eli and Samuel (the only period of judges known to the books of Samuel-Kings). I haven’t made a thorough examination for myself, but am going by lists published elsewhere. This is obviously difficult to reconcile with typical dates for the exodus and the reign of Saul, as well as the statement in 1 Kings 6:1 that Solomon’s fourth regnal year was 480 years after the exodus. You can see a literalist attempt at a chronology here. They have divided the chronology into several regional judgeships that all reign contemporary to each other (so the reigns of Abimelech/Tola/Jair, those of Jephthah and his successors, that of Samson, and those of Eli/Samuel all happen more or less concurrently). OT scholar Philippe Guillaume has recently proposed that the book of Judges and the period it depicts was a Hellenistic invention, written in Alexandria and post-dating most of the Old Testament. Why would a Hellenistic writer omit Judah and Manasseh but include Machir and Gilead? Yeah, I’ve been thinking about that. My tentative answer would be that despite the lateness of composition, Judges still contains some traditions that are very old or come from sources other than those responsible for the rest of the DH. Do you now think that the Song of Deborah really is one of the oldest portions of the Hebrew Bible? 1. Genuinely old song used with minimal changes in a later composition. 2. Genuinely old song rewritten for use in a later composition. 3. New composition deliberately written to sound archaic and incorporating old traditions known to this author. That might tie into Lemardelé’s thesis that the story has been altered to provide a historical context for the Nazirite vow. After Abimelech, Tola son of Puah son of Dodo, a man of Issachar, who lived at Shamir in the hill country of Ephraim, rose to deliver Israel. He judged Israel twenty-three years. Then he died, and was buried at Shamir. After him came Jair the Gileadite, who judged Israel twenty-two years. I don’t know how you can read the biblical account to mean anything other than that Tola and Jair were sequential judges over the same Israel. Do such people actually take the Bible seriously or not? It’s hard to tell. For bonus points, note that Tola and Puah are both sons of Issachar in Genesis 46:13, and Jair is a son of Manasseh in Numbers 32, who founds the same city, Havvoth-jair, that the judge named Jair founds in Judges 10:4. Judges 10 is another example of the malleable way these folkloric characters can be transplanted into different stories and contexts. Genesis 46:13 is one to add to your NIV page, because the NIV deviates from the MT by changing Issachar’s third son from Iob/Job to Jashub, to harmonize this verse with Numbers 26:24 and 1 Chronicles 7:1.